2-bedroomed, 4-sleeper chalet is fully fitted for self-catering visitors. 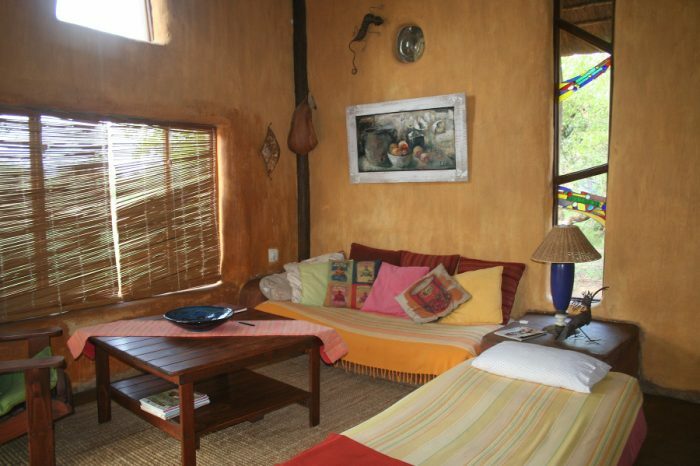 3 self catering chalets can sleep 2-4 persons. It comprises of a king size bed and double bed sleeper couch for children. It has a separate bathroom with a toilet, basin and shower. A fully equipped kitchen with cutlery & crockery for 4 persons. The kitchen has a gas stove & oven with an upright fridge with freezer. The chalets overlook the waterhole, and have a very modern interior. Each chalet has its own private braai on the stoep. One of the chalets is wheelchair friendly. 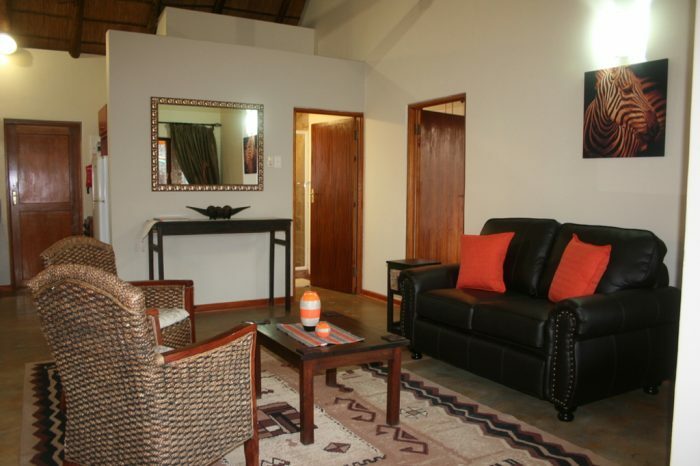 5 en-suite and semi-self-catering 2-sleeper chalets offer a private stoep and braai : each chalet overlooks the bush. The fully fitted kitchen / dining hall, with a separate conference or games room, makes it an ideal venue for groups of up to 38, and is ideal for conferences, weddings, family gatherings and birthdays, school groups, church groups and year end functions. 3 Bedrooms and loft with 4 single beds. 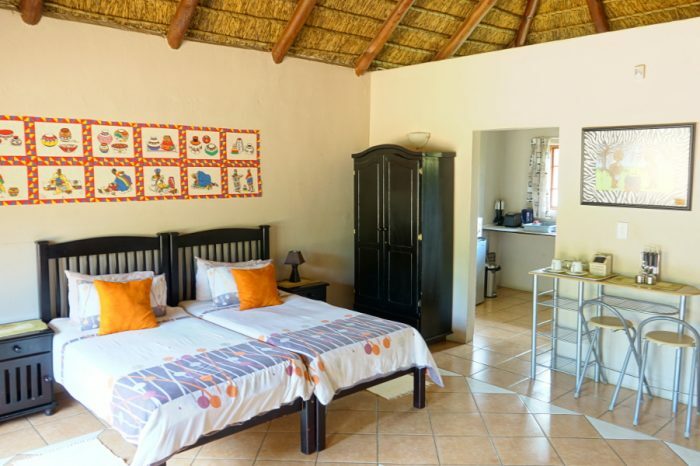 It also has an outside shower, 2 bathrooms with showers and baths, 3 patios and braai area.